Whether you’re going for a romantic weekend away or off to see the world, this beautiful wallet from the Paint collection by Disaster Designs will make sure you travel in style and stay organised at the same time! 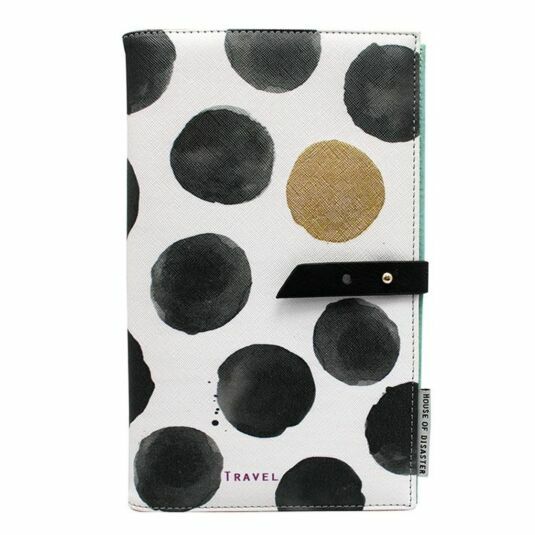 Made from faux-leather featuring a cross hatched texture, the front reads ‘Travel’ in small purple lettering amid a design made up of green spots with one golden accent spot. Each one is printed in a watercolour style, with the layers of paint visible and colours mottled. The inside is designed using a combination of different colours and patterns with a designated, individual pocket for all your travel essentials. 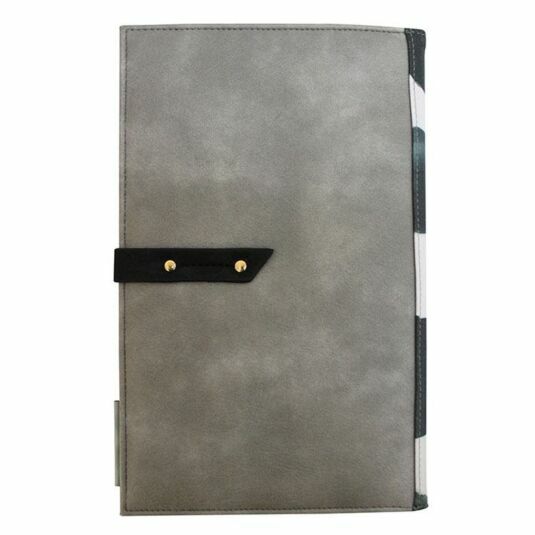 Included within this is space for your passport, tickets, currency, hotel information along with card slots, room for a pen and a zipped compartment for coins. 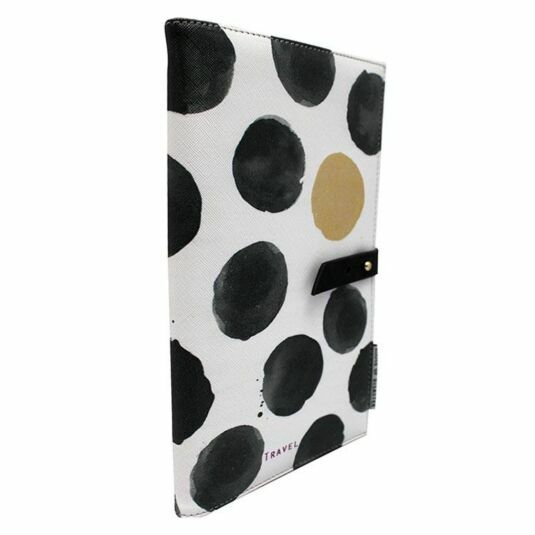 The wallet fastens shut using a studded closure strap, keeping all your documents safe. Perfect for girls of all ages, this striking accessory will ensure you are as planned and prepared as possible whilst travelling! 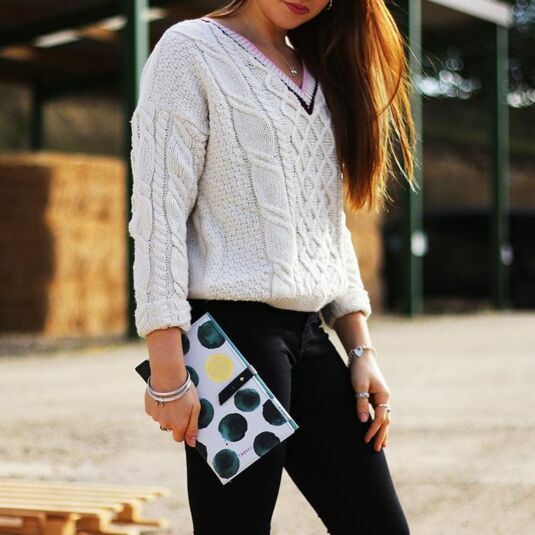 With its stunning design and practical features, is would make a brilliant birthday or Christmas gift for sisters, daughters and friends!